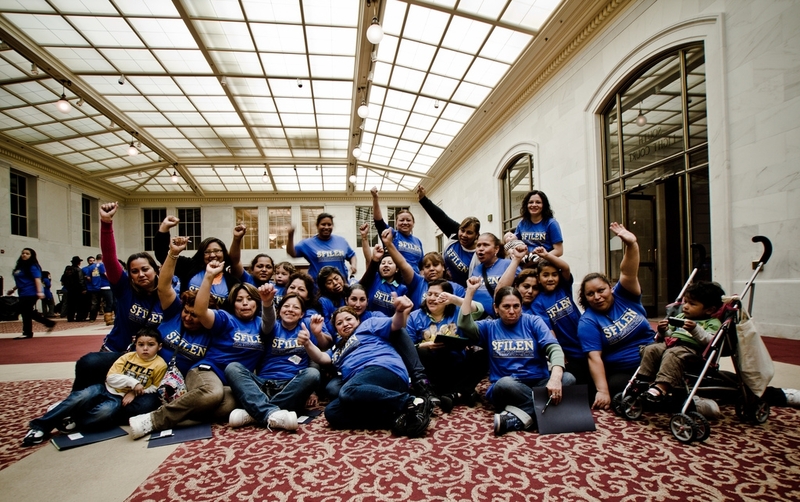 In 2007, MUA helped to found the San Francisco Immigrant Legal Services and Education Network, a unique collaboration of thirteen organizations, including some of the region’s pioneering immigrant service providers and some of the San Francisco’s leading legal advocacy organizations—each with decades of experience providing immigrant legal services to low income immigrants. The mission of SFILEN is to provide full access to social services, direct legal services, civic engagement, legalization, freedom of movement, and reunification with family and community, for all immigrants and their families, regardless of their immigration status. SFILEN is made up of the following organizations: African Advocacy Network, Arab Resource & Organizing Center, Asian Law Caucus, Asian Pacific Islander Legal Outreach, Central American Resource Center, Chinese for Affirmative Action, Filipino Community Center, La Raza Centro Legal, La Raza Community Resource Center, Mujeres Unidas y Activas, People Organizing to Demand Environmental & Economic Rights, Causa Justa:: Just Cause, and Dolores Street Community Services as the lead agency. We represent immigrants from African and Afro-Caribbean, Arab, Asian, and Latino communities, providing free immigrant legal assistance and community education to low-income immigrants in San Francisco. Collectively the Network provides services in over 20 languages and dialects. The San Francisco Immigrant Legal & Education Network is funded by the Mayor’s Office of Housing, Community Development. SFILEN has adapted to meet the waves of changes in federal and local enforcement actions that have created new needs and new legal challenges for immigrants. 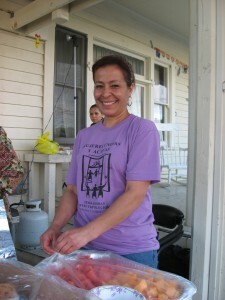 Increased local and national anti-immigrant bills across the country, such as states taking increasing liberties in enforcing federal immigration law, as well as continued heavy-handed Immigration and Customs Enforcement (ICE) programs such as “Secure Communities” (S-Comm) play ongoing roles in diminishing the rights of these new Americans, whether documented or not. Additionally, opportunities offered by the Obama administration such as Deferred Action for Childhood Arrivals (DACA) has created new needs for legal services to help young people apply for this temporary relief. Most recently, with the President’s Executive Action, the need for trusted immigrant legal services and community education around immigration issues is in high demand as immigrant communities continue struggling to navigate a patchwork of changing immigration policies and procedures. Within SFILEN, MUA offers trusted education and outreach services and has access to a comprehensive network of legal services partners to which we refer our members.